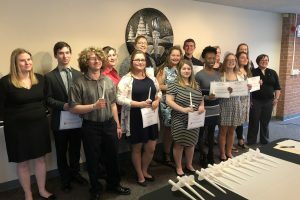 The West Shore Community College Music Department will be performing their spring concerts in the next several weeks. 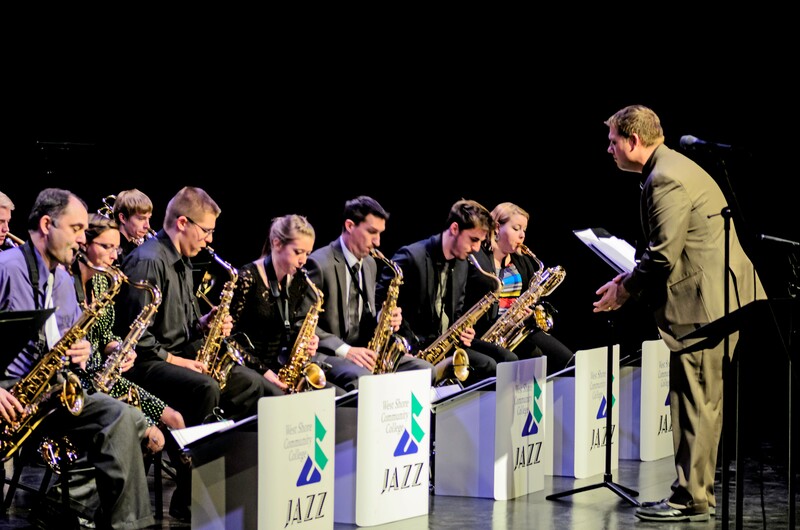 The WSCC Jazz Ensemble will highlight the sounds from the big band era and contemporary jazz works on Thurs., April 11, at 7:30 p.m., in the college’s Center Stage Theater. On Wed., April 17, at 7:30 p.m., the Wind Symphony, under the baton of Professor of Music Ted Malt, will be in concert at the Manistee High School Auditorium. The concert will highlight a diverse selection of wind band literature. The college’s Percussion Ensemble will also perform during the concert. The percussion ensemble is under the direction of Xavier Verna, who is the executive director of the Ramsdell Regional Center for the Arts. The WSCC Concert Choir, under the direction of Rebecca Sopha and Lew Wilson, will be in concert on Tues., April 23, at 7:30 p.m., in the Center Stage Theater. The choir will be performing selections of sacred, secular and contemporary works. The Gold Coast Chorale, the college’s newest musical ensemble featuring more than 28 voices, will present its spring concert on Mon., May 13, at 7:30 p.m., in the Center Stage Theater. The chorale under the direction of Eliot Plummer. Tickets can be purchased online, by phone at 231-843-5507, or in person at the Schoenherr Campus Center Book Store. Box office hours are Monday-Friday from 8 a.m. – 4 p.m.
Tickets will also be available one hour before each event in the lobby of the performance venues.